Karbi Anglong Excise department has seized a truckload of illegal IMFL at Silonijan on NH 39 in East Karbi Anglong. 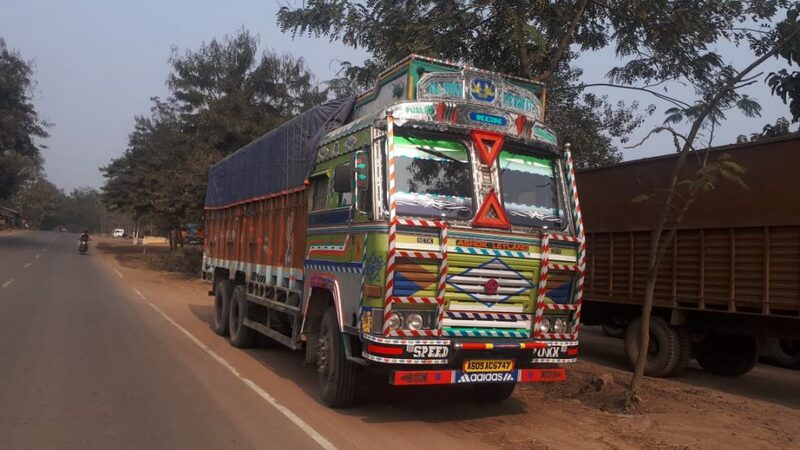 The development came weeks after the Karbi Anglong Autonomous Council (KAAC) Excise Department had set up gates to check illegal IMFL transportation along both the highways passing through the hill district of Karbi Anglong. As reported, the excise department sleuths intercepted the truck bearing registration number AS 09AC 5747, in a regular check post at Silonijan early Tuesday morning. A total of 1200 cases of IMFL were seized from the truck. The excise sleuths were reportedly tipped off about the movement of the vehicle, which was supposed to deliver the consignment at Bordumsa, Arunachal Pradesh. However, it took a diversion from the Numaligarh junction and continued movement over NH 39 towardsDimapur, Nagaland. The news of excise and the police officials making seizures of illegally imported IMFL is not new. However, nothing much has changed over years and the mafia continues to push illegal liquor into Nagaland without much difficulty. Dillai police had seized a truckload of illegal IMFL a couple of weeks back in December. However, if reports are to be believed, the police had allegedly released both the trucks and the illegal consignment for reasons best known to them. Moreover, the newly setup excise gates in the hill district raise eyebrows of the concerned citizens and many view it as a money minting tactic of some corrupt department official and some vested political interest. TheKAACExcise Department, which is in shambles and facing severe shortage of manpower, has also allegedly engaged civilians to man their new check post raising doubts over its efficient operation. It also needs to be mentioned that the name of one Augustine Kramsa, a former millitant leader, has surfaced and is being discussed. Be it the illegal coal mining in the hill district or the illegal IMFL transport, Kramsa’s name has remained afloat in all major scams as he is believed to be a close aide of state’s Hill Areas Development (HAD) Minister Sum Ronghang and KAAC Excise EM Amarsing Tisso.